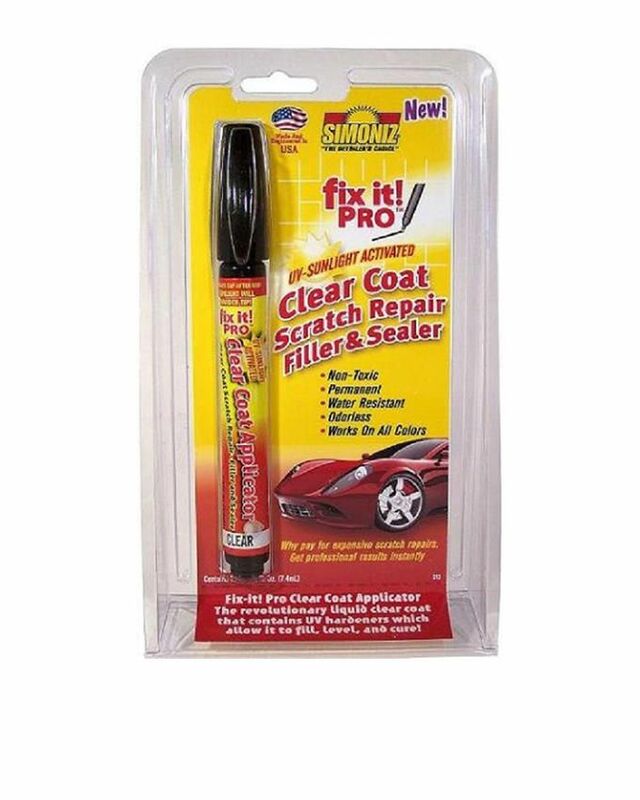 Car-Scratch-Remover Fix It Pro ! Car Scratch Remover Product #: 540 4.4 stars, based on 89 reviews Regular price: Rs 780 Rs780 (Sale ends 5 May! ) Available from: Megashop Condition: New In stock! Order now! Fix It! works on any color, goes on clear and dries clear with UV hardeners to give the area a shiny.